The new cycle path between Foxton and Shepreth is taking shape, and while not quite yet officially open, offers an enticing prospect of cycle riding to come. 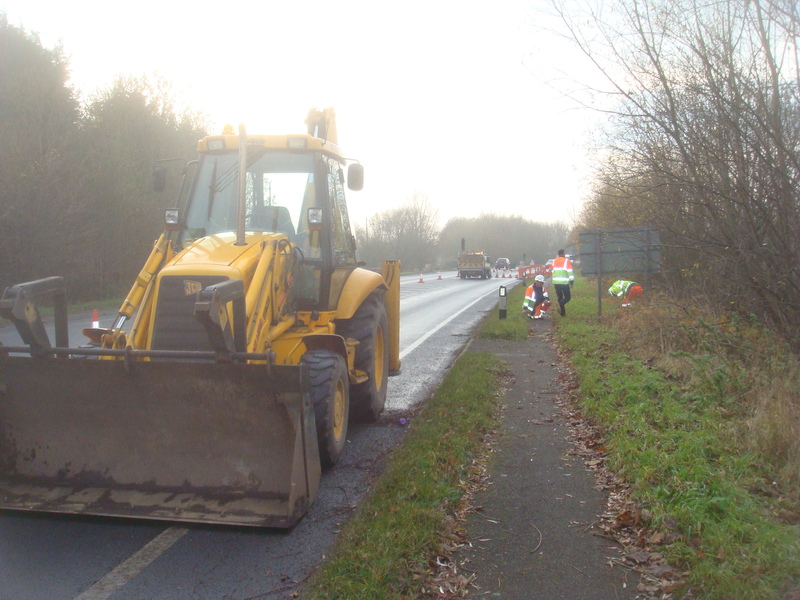 Between Foxton Bottom and Fowlmere Road, the path will receive its final surface treatment in the next few days. Work has moved steadily toward the Cambridge Motel. The motel entrance area will be done last, so as to minimize disruption during the busy Christmas and new year season. Instead work will now move south toward the Frog End junction, and then back to the motel entrance last thing – probably mid-late January. Another aspect of the current project is to clear back the vegetation on and around the path between Foxton and Harston, all being well before Christmas. The surface is in good condition but is less than a metre wide. The clearance work should restore a 1.5 metre width. Eventually, it is hoped that that path can be widened to the same 2.5 metre width now being applied between Foxton and Shepreth. Also looking ahead, the Melbourn to Royston path now seems firmly on the County Council radar, and our upcoming meetings with Hertfordshire colleagues should help to push us along in the right direction. And finally: a soup and hot chocolate party is planned to celebrate the Foxton-Shepreth path – keep an eye out at here for details. Many thanks to the building crew for doing such a great job.